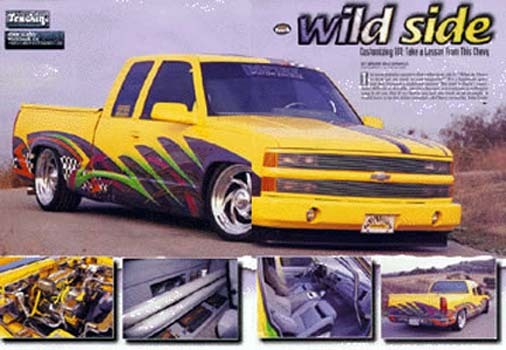 Jon Llado's kustom Chevy Crewcab. Poster truck for LA wirewheel. Sold to the Japanese GM company. Let us build you a cover vehicle today.